Annalee Glitter Dot Boy Mouse. 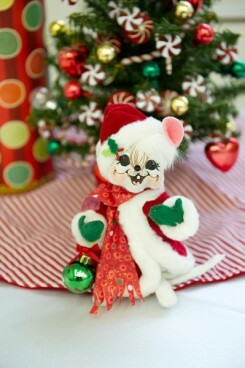 This is the Glitter Dot Boy Mouse and stands at 6" high. This adorable annalee figure will make a great addition to a collection or an ideal starter. Add this to your Christmas decorations this year for something a little different. Take a look at the other Christmas Collection Dolls.